Tall Emu Pty Ltd. may use “cookies” or similar electronic tools to collect information to enhance your experience with this Web site. Cookies are pieces of information generated by a Web server & stored in your computer, ready for future access. Cookies are embedded in the HTML information flowing back & forth between your computer & the servers. Cookies were implemented to allow user-side customisation of Web information. For example, cookies are used to personalize Web search engines, to allow users (you) to participate in WWW-wide contests (but only once! ), & to store shopping lists of items you have selected while browsing through a virtual shopping mall. Any information collected by the cookies used by Tall Emu Pty Ltd. or by a third party acting on our behalf will be collected anonymously & will not be used by us to subsequently identify you or to prepare the collection, processing, or use of personal information about you without your prior consent. 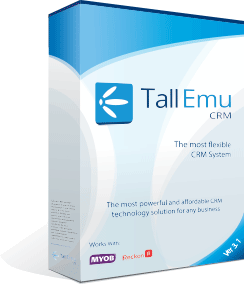 Tall Emu Pty Ltd. collects personal information that you voluntarily provide on this Web site, which may include your name, address, e-mail address, etc. For example, we collect personal information when you register to receive certain services or products. We use this information to communicate with you & provide you with your requested service or product. If you provide your consent at the time your personal information is collected via this Web site, we may also send you our news on services or up & coming events in the interest of serving you. You may instruct us at any time not to receive these letters by emailing [email protected] – please allow 24 hours for this process to be completed. To protect the rights or property of Tall Emu Pty Ltd. , employees & subscriber of its services, or any member of the public. Any personal information you provide to Tall Emu Pty Ltd. is kept on secure servers. Tall Emu Pty Ltd. uses reasonable administrative, technical, personnel & physical measures (a) to safeguard personal information against loss, theft, unauthorized use, disclosure, or modification; & (b) to ensure the integrity of the personal information. Tall Emu Pty Ltd. may provide links to third-party Web sites. Tall Emu Pty Ltd. does not have control of these third-party sites & are not responsible for any personal information you may provide while on such sites or material published on such sites. We advise you to read the privacy policies on those Web sites before providing any of your personal information on such sites.